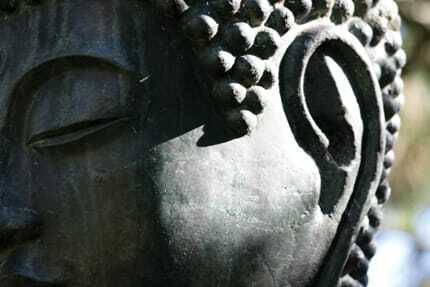 Ajahn Amaro explains how to practice nada yoga and why this simple act of listening to inner sound can help you realize emptiness. To detect the nada sound, turn your attention toward your hearing. If you listen carefully to the sounds around you, you’re likely to hear a continuous, high-pitched inner sound like white noise in the background. It is a sound that is beginningless and endless. There’s no need to theorize about this inner vibration in an effort to figure out exactly what it might be. Just turn your attention to it. If you’re able to hear this inner sound, you can use the simple act of listening to it as another form of meditation practice, in the same way one uses the breath as an object of awareness. Just bring your attention to the inner sound and allow it to fill the whole sphere of your awareness. In a small number of people, the inner sound is oppressively loud, usually for an organic reason. In these cases, inner listening is unlikely to be helpful as a meditation practice, since the subjec­tive intensity of the sound makes it less useful as an object to encourage peace and clarity. One of the great virtues of meditating on the inner sound is that it easily supports both aspects of samadhi (meditative concentration): samatha (“shamatha” in Sanskrit, meaning calmness or tranquillity) and vipassana (insight). Samadhi can be described as the fixing of the mind on a single object for a period of time. And this single­ness of focus, or one-pointedness, can function in two distinct ways. The first, which is the basis of samatha, can be thought of as “the point that excludes.” It’s like using the spot-focus beam of an adjustable flashlight to lock onto a single object and block out everything else. The second way, the basis of vipassana, can be described as “the point that includes.” The one-pointedness expands into an awareness that makes the whole experience of the pres­ent moment the object of meditation. Using the broad-focus beam of the same adjustable flash­light, all the various aspects of the present—not just a single, brightly lit spot—are encompassed in the light of awareness. You can use the inner sound just as you would use the breath to directly support the establish­ment of samatha, making it the primary object of attention and letting it fill the whole space of your present experience. Very consciously, you leave everything else—the feelings in your body, the noises you hear, the thoughts that arise—on the periphery, allowing the inner sound to completely fill the focus of your attention. Listening to the inner sound helps you rec­ollect that all mental formations, or sankharas, are unsatisfactory. If something is formed, if it’s a “thing,” there is a quality of dukkha in its very impermanence, in its very “thing-ness.” The sound’s presence can support the ease with which we see every sankhara as empty and own­erless—whether it’s a physical sensation, a visual object, a taste or smell, or a refined state of happi­ness. It helps us sustain an objective, unattached, unentangled participation in the present, amid the feeling of the weight of our body and the flow of our moods, whether they be tiredness, doubt, understanding, or inspiration. The inner sound carries on in the background, reminding us that everything is Dhamma, that everything is coming and going, changing. This is a truth we may have intuited for years but often forget because of the confusion that comes from becoming attached to our personalities, memo­ries, thoughts, and bodily discomforts. The stress of attaching to all our experiences since birth has kept our attention entranced and bewildered. 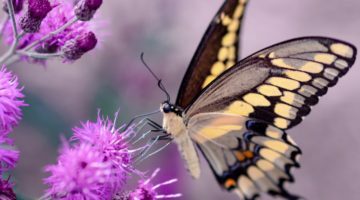 Nevertheless, we can use the pres­ence of the nada sound to break the trance, to help us know the feelings and moods for what they are: patterns of nature coming and going and doing their thing. They are not who or what we are, and when seen with insight, they can never really satisfy or disappoint us. Inner listen­ing leads to a knowing awareness with which we can more easily recognize the transparency, emptiness, and insubstantiality of these experi­ences and let them go. As you develop inner listening as a formal method of meditation, you may begin to notice how listening to an auditory object helps you learn to listen to your thoughts and moods with less subjectivity. In many respects, the chatter of our think­ing mind has no more meaning than the buzz of the nada sound. The chatter is just a continu­ous, murmuring stream of vibrations formed into conceptual patterns. So we learn to listen to our thinking with the same freedom from involve­ment or identification that we would have lis­tening to a splashing fountain or a chorus of birdsong. It’s no big thing, nothing to get excited about. Of course, that’s easier said than done, because we do tend to be infatuated with our stories, par­ticularly the ones featuring ourselves about the good we’ve done, the bad we’ve done, what we want to do, what we hope to do, what we fear will happen to us, what others think of us, and so on. These beloved patterns are all manifestations of the “I” element, the lifetime habit we have of thinking in terms of “I” and “me” and “mine.” In the Pali canon, ahamkara, or “I-making,” and mamamkara, or “mine-making,” are the key attributes of self-view. If a story has “me” in it, it naturally tends to be much more interesting than other, more remote tales. Accordingly, much of the development of vipassana, or insight meditation, is about learn­ing to recognize the I-making and mine-making habits within the thoughts we experience. Aham­kara means “made of I-ness,” while mamamkara means “made of mine-ness.” True insight is not allowing those concepts to carry the mind away and, instead, seeing their emptiness and letting them go. Most Buddhist practitioners, regardless of tradi­tion, are familiar with what are known as the three characteristics of existence: anicca, dukkha, and anatta (impermanence, unsatisfactoriness, and not-self). These are the universal qualities of all experiences, and recognizing their presence is the most active aspect of vipassana meditation. There are, however, other universal character­istics of existence that can be similarly employed to help free the heart from all limitation and stress. Two of these characteristics, which oper­ate as something of a pair, are called suññata (“shunyata” in Sanskrit) and tathata, meaning, respectively, emptiness and suchness. Emptiness expresses the idea of saying “no” to the phenomenal world: “I’m not going to believe in this. This is void, empty, hollow, not entirely real.” Suchness is connected to emptiness in the same way the right hand is connected to the left. In contrast to its partner, however, suchness expresses the idea of saying “yes” to the phenom­enal world. A thought, a daffodil, or a mountain may not be a separate, solid thing, yet there is something, an ultimate reality, that underlies, permeates, embraces, and constitutes each. Such­ness is thus an appreciation of the true nature of reality, and its realization can be characterized as knowing and embodying the presence of the unconditioned, the deathless, or amata-dhamma. In the Pali canon, emptiness usually means “empty of self and what belongs to a self,” but it also refers to the insubstantiality of objects. When you stabilize the skill of attending to the nada sound, so that its shimmering, silvery tone is a constant presence, it can greatly enhance your capacity to realize both these kinds of empti­ness—that of subject and object, self and other. so says the Kinsman of the Sun. when it’s seen in truth. The nada sound can help us recognize the suchness of experience as well. Suchness is by its nature hard to pin down conceptually. But while it has a quality that may make it seem vague or unreal, ironically, that is a necessary part of its meaning. 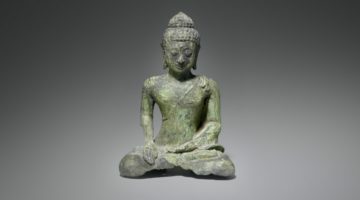 Significantly, the word the Buddha coined to refer to himself was Tathagata, meaning either “one who has come to suchness” or “one who has gone to suchness,” depending on the interpretation. So even though suchness seems intangible, it also conveys a fundamental reality. A comparison might be made with the math­ematical concept of the square root of minus one. In the world of real numbers, there is no integer that you can multiply by itself to produce minus one. If such a number did exist, however, then all sorts of interesting possibilities would unfold, as was discovered in ancient times and devel­oped further by mathematicians in the eighteenth century. Even though this number has imaginary sta­tus, it still manages to be essential in constructing phase-shift oscillators used for sound engineering and is put to extensive use in computer graph­ics, robotics, signal processing, computer simu­lations, and orbital mechanics. Like suchness, it has a clear and demonstrable presence in the real world. Although we may have seen through the “I am” conceit, known as asmi-mana, traces of clinging can remain—that is, clinging to the idea of an objective world being perceived by a sub­jective knowing, even though no sense of “I” is discernible. There is the feeling of a “this” that is knowing a “that” and either saying “yes” to it, in the case of suchness, or “no,” in the case of emptiness. Atammayata provides closure to the whole domain with the insight that there is no “that”; there is only “this.” It expresses the genuine col­lapse of both the illusion of separateness of sub­ject and object and of the discrimination between phenomena as being somehow substantially dif­ferent from each other. It helps bring about the realization that there is only the wholeness of the Dhamma, complete spaciousness and fulfill­ment. Then, knowing that truth, even this-ness and here-ness become meaningless. We tend to think of the mind as being in the body, but we’ve actually got it wrong; the body is in the mind. Everything we know about the body, now and at any previous time, has been known through the agency of the mind. This isn’t to say there isn’t a physical world, just that the experience of the body, and the experience of the world, happen here, within our mind. When we truly wake up to that here-ness, the world’s externality, its separateness, ceases. When we realize that we hold the whole world within us, its thing-ness, its other-ness, is checked, and we are better able to recognize its true nature. The presence of the nada sound can help us realize and maintain such a perspective. The mind slowly loses its habit of becoming caught in the outflows, the asava, and thus getting lost in worldly concerns. The result is an inner com­posure and a freedom from the compulsions that so readily entangle us. One way to develop this insight on a practical level is to combine listening to the nada sound with the following simple reflection. While focus­ing on the inner sound, recollect that the world is in your mind: “My body and the world are here in this space of awareness, permeated with the sound of silence.” This will eventually bring about a shift of vision. You will find your body, your mind, and the world arriving at a resolu­tion—a realization of orderly perfection in which the world is balanced within the heart of vibrant silence. 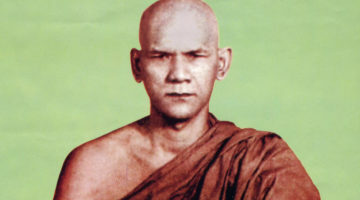 Ajahn Amaro is the abbot of Amaravati Buddhist monastery in southeast England. he was ordained as a bhikkhu by Ajahn Chah in 1979 and was the founding co-abbot of Abhayagiri Buddhist monastery in redwood Valley, California, where he served until 2010. Thanks for this. Since the beginning of zen practice my mind has become hyper aware of this tone. Now I know what to do with it. This is a really great and important article – thanks so much for writing it! It's really helped me to have someone articulate the fact that silence actually has a sound of its own that we can tune into and is not just a dead space where there is an absence of sound. I'm very into music so I came up with my own affirmation (to add to the one above): "I am aware of the sound of silence in music and other things". It reminds me to not try to figure things out all the time and become aware of this palpable and comforting sound that can give me mental peace. John Cage's silent symphony in three movements does a good job of reflecting how powerful silence can be and it's true as mentioned above that the humming sound of silence can have a lulling effect. For long heard a ringing like sound in the years. By your article I understood it as the inner sound which helps to attain samadhi avasta even on simply closing the eyes.